You are here: Home / Earth / Elie throws down. Now what the church needs is a message check – a truth check. Because what is made clear by the vote in Ireland – where the church has enjoyed every advantage and opportunity to promulgate “its” position for many decades – is that the problem isn’t the church’s ability to connect with young people and communicate “its” message. The problem is the message. What the church calls “its” message on sexuality is no longer credible, and, in important ways, it is no longer “its” message. It’s no stretch to say that the church is simply not living in truth (in Vaclav Havel’s expression) when it comes to human sexuality. 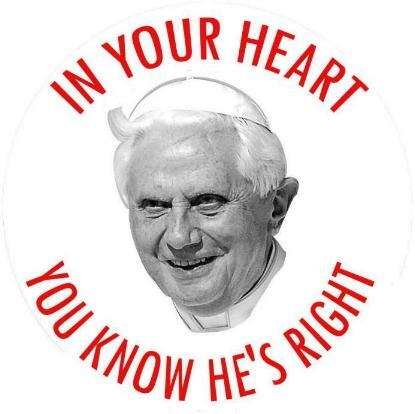 It took a third of a century…for the church to recognize the simple fact that there is much that is true in the theology of liberation – a third of a century in which Pope John Paul II and Cardinal Joseph Ratzinger, later Pope Benedict XVI, made every effort to insist otherwise. In the same third of a century John Paul and Ratzinger made every effort to deny the simple fact that there is much that is true in sexuality and family life outside of traditional marriage. One the one hand, the Church’s rather fearsome stance on sexuality does seem to be a stumbling block for lots of folks. On the other, I don’t know if you want to hold the Church in Ireland up as a model or exemplar or microcosm or anything else when it comes to matters sexual. It strikes me as being very much its own place. Was it Chesterton who said that those who seem to think the Church is fixated on sexuality are really pointing out how fixated they are on the Church? Liberation Theology, the God that will one day, some day, at a point in the hopefully-not-too-distant future (but we must not be impatient, for progress takes time) not fail. “There is no serious question of ‘creating a space in which the Church’s message can be heard by our contemporaries.’ I’m not sure I even know what that means. But I am fairly sure that the problem with the world is not that people have not heard the Church’s message. On the contrary, everyone knows what the Catholic Church teaches on questions of homosexuality and marriage. It’s not that people have not heard that message; it’s that they have heard it and rejected it. Nor is it the case that, if only people heard the sophisticated arguments in favor of that message, they would accept it. We know that that is not true: there are plenty of liberal intellectuals who have heard those arguments, and the vast majority of them have rejected them. Why should it be any different with people who are not professional intellectuals? All this should come as no surprise to the Christian. You will recall, please, how the world treated our Blessed Lord. He was, by all accounts, a very effective speaker, and those who heard him understood only too well what he was saying. Their response was to crucify him. If they treated him thus, how do you think they will treat you? Words worth recalling. The trick is that we also have to love the world, and keep proclaiming the Gospel to it, doing our best to be all things to all men. Perhaps that is why there is the emphasis on how to best communicate the Church’s message. For instance, there is a great trend these days towards assigning motives to convictions, ie, the Church condemns homosexual acts because it hates gays, or because it fears unfettered sexuality, etc. These sorts of judgments make it all but impossible to actually engage the Church’s teaching, and make rejection a certainty. But they are false judgments, and ought to be argued against, I think. Even the most “Catholic” culture the world ever saw – as Ert points out – high Middle Ages – was a whole lot of yuck. But let us keep in mind where the strength of conviction comes for Catholics – (the cathedrals and high art are certainly “symptoms” of a healthy culture but by no means the guardians of such a culture.) That must be prayer, and not just any prayer, but the highest form of prayer, the Mass. So it’s not accidental that Pope Benedict XVI made the liturgy the main thrust of his pontificate. Without it, the Church has no culture from which to draw strength and energy for its mission here on earth. “The eternal bride will garner an eternal hatred,” said Belloc (I quote from memory). But she also has the bridegroom, equally hated, who says has promised in good times and bad, sickness and health, to always be with her. Yeah well, I hear there’s a new sheriff in town. Two sheriffs, mebbe. But only one of ’em’s in town. Oh, but I insist: two sheriffs – one town. AKA: The Curious Case of the Two-headed Church.